Here’s the link: Honolulu Civil Beat – ‘Affordable’ Housing Shouldn’t Be Sold Off. In a nutshell, I live in an affordable housing project where the remaining unsold units (after a series of obscure “public” meetings) were removed from the available pool of affordable housing units and are now offered for sale to anyone (including non-owner-occupant “investors”). I link to the article here since I am not a paid member at Civil Beat and, thus, I could not participate in any discussion at Civil Beat if my piece generated comments…. I did a fair amount of research on this topic and I could go into much greater detail about it (if anyone were interested) but I was asked to observe a word count limit. If you’re visiting my blog for the first time via the Civil Beat link, welcome. Please, have a look around at my previous work. Gene Ward, the next GOP flag-bearer? It would appear that Representative Gene Ward, leader of the House Minority Caucus, is the new face of the Hawaii Republican Party, its so-called “titular head.” Lenny Klompus, a man suddenly without a political portfolio after years of carefully grooming Governor Lingle’s media presence, has hitched his wagon to Ward. Within days of Klompus’ arrival, Ward and other House Republicans have publicly sided with the one-member-too-small faction of House Democrats supporting Calvin Say to remain as House Speaker. I have a strong hunch that Klompus influenced that decision. Sound about right to you, too? I suspect that many, if not most, of you that found your way here after listening to Ben Markus‘ piece on Hawaii Public Radio have never visited my blog before. My blog never enjoyed a lot of traffic, and now it doesn’t even get the modest traffic it used to enjoy since I post so infrequently. I no longer have immediate access to a computer (much less to the Capitol environment) all day, and I was getting a bit tired of the usual “link with a commentary” format. This project was a chance to be less parasitic and to work on something original—even if a bit banal to the non-wonk world. Along the way, this project became at least as much a story about the struggle simply to obtain the records as a story about the actual records. Anyway, you’re here, so you’ve probably heard Ben’s piece, which means you know the gist of what I’ve been up to for the past 18 months(!). A good place to explore where you will find links to all the related posts is at my small corner of the Hawaii Open Data Project, a place established by Ryan Ozawa to serve as a repository of sorts for projects like what I’ve been doing. If you only want the blow-by-blow of the struggle to get the records, however, that is all described in this long post. By the way, Mr. Markus interviewed me for this piece on November 4, 2010. Fitting, then, that it should air seven weeks later, as no part of this project came together as quickly as I would have liked… haha. Please, leave me a comment, spread the word about this project, and USE THE DATA! p.s. If you missed it, then you can try to listen later today (around 4:30pm HST). Mirabile dictu, I am finished with the cataloging, scanning, and uploading of records! I thought that I still had hundreds of records to go, until I realized that the remaining pile consisted only of the records for measures which had been vetoed and subsequently overridden by the Legislature. Thus, after a careful comparison to confirm it, all those remaining records were duplicates. It feels great to be done! In this final batch are records pertaining to clotheslines in planned communities, the Early Learning Council, unlicensed contractors, filing dates for excise taxes, credit checks during the hiring process, teacher licensure, and drug treatment. Most of these records pertain to bills that became law without the Governor’s signature. The document index is now 4,432 rows long and catalogs 2,118 records! There is bound to be an error (or tens) in a document that size, so please let me know if you find any. [substituting the asterisks with the four-digit document number you want, using leading zeros as needed]. For example, here is the link to view the first page of this latest batch of public comments. REMINDER: all of the contents of this site (to include the uploaded documents) are published under a Creative Commons license. Please, respect the terms of that license. Now that I am finished, I hope that the Senate Clerk would reconsider the decision to not host these documents alongside the other testimony related to the same pieces of legislation. At the very least, I would hope that she would include (or link to) my Document Index with an explanation of how it may be used to find the records here at this blog. Remember, too, that my index is an Microsoft Excel spreadsheet and allows the data to be sorted to make them more useful (i.e. by measure number, by sender, by recipient, etc.). At this point, I estimate that I have dealt with about two-thirds of the records provided to me. This is another batch of records pertaining to legislation from 2009 that became law without the Governor’s signature. The document index continues to expand (over 4300 rows, cataloguing 2056 records! ), but the end of my task, finally, is in sight. This batch of records comprises comments on legislation relating to the following topics: tort claims against public utilities, telecommunications de-regulation, electronics recycling, renewing liquor licenses of tax delinquent businesses [Next Door and Jacques North Shore Bistro have particularly vocal followers, or so it would seem], establishing preferential rates for renewable energy produced by agricultural producers, physician orders for life-sustaining treatment, the use of airport revenue to apply for a FAA spaceport license, and a contentious bill about how lease rents are to be set by arbitration [which led to a flood of comments from employees of GP Roadway Solutions]. Nothing too shocking in this batch. Or, I should say, nothing to shocking to a person like myself not intimately familiar with the legislation. Your mileage may vary. Kudos to KITV and KHON for reporting about a community meeting where a presentation was made by a company that is in the business of helping law enforcement agencies locate the source of gunshots and other noises made by illegal activity. Honolulu City Council Chair Nestor Garcia (my original boss at the Lege, back in the day) hosted the events in our/my neighborhood where Ed Jopeck of Shotspotter described the equipment which is used to pinpoint the location of gunfire and explosions by triangulating on the sound produced. I write a blog about Hawaii politics. On the island of Oahu we have a huge amount of illegal aerial fireworks and improvised bombs(!) that are detonated by normally-law-abiding people to celebrate New Years Eve, with a window of about one month before and after that sees a build-up and taper-off from that single night of intense activity. Around Independence Day there is a smaller version of the same anarchy. Despite literally thousands of offenses, the authorities typically make only one or two arrests per year and claim that the arrest rate is so low because the LEO (or a member of the public willing to testify for the prosecution) must actually witness the offense being committed. People with respiratory ailments and nervous pets of all kinds are affected. Would your shotspotter system be effective in pinpointing the location of illegal aerial fireworks and bombs in a mid-density urban environment? Would you be willing to demonstrate your system this year in my community and perhaps shame local LE into taking more aggressive action? Does the system produce evidence that would stand up in court and obviate the need for a citizen to “rat” on his or her neighbor? This is not a joke. Can you help? I received an auto-response to the effect that the press officer was on vacation for Thanksgiving. Finally, on December 3, I got an acknowledgment of my email—claiming that my message had gone into a spam folder by mistake. My inquiry was to be fielded by Mr. Jopeck. But nothing came of it. I pinged the press officer again on December 10, letting her know that Jopeck had not responded. Three days ago, on December 13, Mr. Jopeck responds, telling me that, what else, my email had been in his spam folder. He then informed me that he would be in Waipahu, meeting with Nestor Garcia … the next day(! ), and he invited me to join them. Jopeck also said he planned to meet with the Honolulu Police and Fire Departments. I had other plans for Tuesday evening already, so I did not attend. As luck [sic] would have it, I am leaving my current home near Washington DC this morning to come to Honolulu for three days (Dec 14-16). The primary purpose for my trip is, at the request of Honolulu City Council Chairman Nestor Garcia [sic], to meet and address a community meeting in Waipahu on exactly this issue. I will be happy to give a demonstration of our solution at or after this meeting. I hope you will consider coming to the city council meeting to hear my presentation and so that we can meet. While I am in Honolulu, I will also be meeting with Honolulu Police and Fire Department representatives. Luck?! At the request of Garcia?! Whatever you say, Mr. Jopeck. Heh. Council Chairman Nestor Garcia, who represents Waipahu, wants the city to seriously consider the technology to combat illegal fireworks, especially once consumer fireworks are banned on Oahu starting Jan. 2. “We know that there is a problem out there. We hear it every night. Even last night, I heard it. The problem is trying to detect it under the cover of darkness. With this technology, as I’ve been told, it might be able to solve that problem for us,” Garcia said. The technology costs roughly $250,000 for the first square mile and about $200,000 per additional square mile after that, according to Jopeck. That sounds expensive, but this is a seasonal problem. Does the technology cost $250,000 per square mile per … year? per month? per week? per day? If $250,000 is the annual rate, then setting up the system for a month suddenly sounds much more affordable. The story also mentions the possibility of using Shotspotter during the upcoming APEC meeting. Doesn’t the Department of Homeland Security (or some other federal agency) have a budget for making grants to host cities to defray security expenses? How about a free sample for a week, Mr. Jopeck? My dog, Perl, would like to spend a quiet evening without needing to cower under my bed! Since the records from my UIPA request were given to me crammed into a single large carboard box, the organization is less than perfect. Rather than sorting through the records and organizing them completely before I began, as perhaps I should have, I have been simply pulling out small stacks every now and then when I have time to work on the project. As a result, this latest batch is somewhat out of sequence. Even though there are still several hundred records from measures that were approved by the Governor, for some reason the records pertaining to legislation that became law without her approval were “filed” in the midst of records related to measures that she signed. This oddity doesn’t really matter much, because I will eventually process all of the records, and because the document index can be (re-)sorted by measure number to eliminate any confusion. Anyway, I apologize for the posting hiatus. In addition to just needing a break, I had a run of library books on hold finally becoming available, then basketball season started, and all that meant I devoted less time to this weird “hobby” of mine. This batch took me past the 1900 record barrier, and the document index is now over 4200 rows. Wow! So, what’s in this batch of records? Comments about opihi regulations, a flood of comments from Kakaako landowners/developers (including a comment from the Gannett Pacific Corporation) in opposition to changes regarding affordable housing requirements, a trickle of comments from supporters of that same measure, comments about amendments to the campaign finance law, comments from businesses and insurers opposed to a law forcing them to offer health insurance to part-time workers, some high-profile businesses and politicians commenting on the increase in the petroleum barrel tax, comments about extending the GET to online purchases, comments about labeling meat products that have been gassed to appear more fresh, and about legislation to put a five-year cap on residence in public housing. However, note that Suzuki’s message does not back down from his [dubious] claim that the Governor is allowed a “deliberative privilege,” rather he merely concedes that this report does not qualify for such a privilege. REMINDER: all of the contents of this site (to include the uploaded documents) are published under a Creative Commons license. Please, respect the terms of that license. I have nearly completed my work with the comments pertaining to the Acts passed during the Regular Session of 2009 that were not vetoed by the Governor. The document index is becoming ever more massive (over 4000 rows! ), and then I still have the comments relating to the vetoed measures to catalog and upload, too. Nibble, nibble, nibble. Heh. For some reason there are many records in this batch that were not completely photocopied for me, and there are many records that were provided in a concatenated form making them harder to catalog (as more than one record is on a single page). I tried to work around it, but if you use the document index and get to a record that seems incomplete, then please try the page before and after and (maybe) the rest of the document you’re interested in will be there. Perhaps the state worker making the copies for me was getting as burned out as I am? So, what’s in this batch of records? The bulk of these comments (and here we are talking hundreds of records, folks) are about the amendments made to the Act 221 tax credit. Those records provide yet another (incomplete) hint of exactly which companies and investors are (or were) claiming those credits… However, other notable subjects include: unemployment insurance, public accountancy regulation, and enterprise zones. Of course, Mr. Sou never promised the Governor to hire American employees to “get the benefits” of the enterprise zone relief, nor did he promise to treat all the workers he hired fairly… Anyway, it would seem that our tax dollars were at least somewhat empowering Mr. Sou’s alleged sordid behavior. Nice. Check it out. META: Still waiting for word from the OIP about that gambling report. If they rule that the report need not be disclosed to me, then don’t worry—Radcliffe has offered to provide a copy to Ian Lind and Ian will scan it. Win! UPDATE: October 12, 2010: Ian Lind has obtained the report directly from John Radcliffe! The report is available from Ian, and from me. 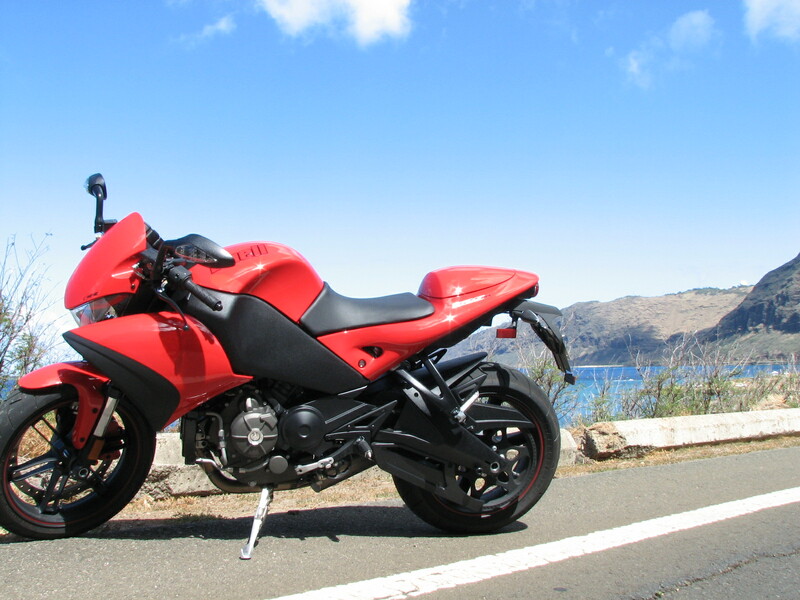 Confession: I bought another motorcycle (new this time!) and have been a bit distracted for a while, so the newest version of the document index shows slightly less progress than I had hoped. Toys are only new once. Forgive me. This batch does have one especially intriguing item: check out this record, a letter from über lobbyist John Radcliffe about establishing two gaming casinos on Oahu. The report Radcliffe refers to in the letter was not provided in response to my UIPA request, and I challenged the Office of the Governor’s claim of “deliberative privilege.” The initial response from the OIP suggested that they will uphold the deliberative privilege—even if the report was not created by the government but was only “solicited by” a government agency. However, that OIP decision may have been made in ignorance of Radcliffe’s letter, which clarifies that the study is ten years old and, thus, was not solicited by the Lingle administration. I await further OIP review of my challenge, and I have a strong hunch that I’ll get the report. If I do get the report, it will be posted here, natch. BONUS: A picture of my new bike is here, if anybody cares. It’s quite a machine and I’m very happy with it. If you take a look at the latest version of the document index you’ll find that I made a lot of progress in the past week. I’d estimate I’m now only about halfway through the box of records. Whew. So, what’s in this batch of records pertaining to legislation that passed the 2009 regular session? Among the more notable subjects: mortgage broker regulation, renewable energy matters, increasing cigarette taxation (to include messages from Grover Norquist reminding the Governor of her anti-tax pledge), increasing conveyance taxation for properties valued over $2M, increasing transient accommodations taxation, a hugely popular bill to protect manta rays, various special purpose revenue bonds, and timeshare regulation. Also of note is that many of the cigarette tax bill opponents were sent hand-signed responses from the Governor [and a waffling response, at that], which made that bill unique among all the other legislation (or at least among all the records I’ve scanned so far). [In a letter to the Chief Elections Officer the candidate] says that no nonpartisan candidate in Hawaii’s history has ever advanced to public office in a partisan race. However, that is not the same as arguing that “no nonpartisan candidate in Hawaii’s history has ever advanced to the general election,” which, in my opinion, more accurately describes the crux of the candidate’s complaint. I was unsure if that had ever happened, so I started looking through the general election results from the Office of Elections. As it turns out, in 2006, at the General Election there was a nonpartisan candidate on the ballot for House District 30. That candidate received only 3.0% of the votes cast, trailing the Republican, the Democrat, and “blank votes.” (But beating the Green Party candidate.) What is more interesting, however, is that in reviewing the 2006 primary election you’ll find that the nonpartisan candidate only got 6(!) votes. According to the law, in failing to get at least 10% of the votes cast at the primary election for that race or, alternatively, failing to get at least as many votes as any partisan candidate in that primary race, that nonpartisan candidate should not have advanced to the general election. Weird. UPDATE: Actually, not so weird. See the comment from Dave Smith. This disparity partially explains the “Free Energy,” “Natural Law,” “Best Party,” and other fringe parties we occasionally seen on the ballot. All it takes to start a political party is a petition, at least for the first time out. After that “free ride” election, such parties face disqualification if they don’t field candidates and get enough votes. But, at least for the first election, candidates of such fringe parties are guaranteed a spot on the general election ballot. Rule 1. If you’re going to redact an email address, then try to use a marker that is truly opaque. Especially true if this redaction is intended to obscure the Governor’s personal email address. Ooops! Rule 2. If you’re going to redact information from a letterhead and/or a signature block, such redaction is more effective if the same information is not disclosed in another part of the same record. Rule 3. Printing emails on the back side of other documents to conserve paper within the office is all well and good, but … printing those emails on the back of a random crackpot right-wing conspiracy theory and then making double-sided copies in response to a record request is poor form. I noticed after I was already several hours into working on this batch that I am not following the plan I had made to deal first with all the bills that were approved, then the veto overrides, and then the vetoed measures not overridden. It turns out that I collated the veto overrides along with the approved bills (the records had been bundled by Act number, and I forgot that veto overrides are also numbered (re-)starting at one). It’s really not a big deal, so I am continuing with that organization scheme. Besides, the newly-updated document index still reflects the nature of each record; my document numbering system is purely arbitrary, of course. So, what’s in this batch of records pertaining to legislation that passed the 2009 regular session? Among the more notable subjects: the so-called “card check” legislation (with, hard to believe, zero public comments received in support? ), medical marijuana, naturopathy regulation, and workers compensation. Dig in! Leave a comment if any of this is useful or interesting to you, please. [substituting the asterisks with the four-digit document number you want, using leading zeros as needed]. For example, here is the link to view the first page of public comments. REMINDER: all of the contents of this site (to include the uploaded documents) are published under a Creative Commons license. Please, respect the terms of that license. META: Senator Ihara told me six days ago that the Senate Clerk would contact me regarding hosting these records at the Capitol website. So far, I haven’t heard a peep from her, though. I’ve completed over 1000 records, and there are at least that many more to be catalogued, scanned, and uploaded. I have spare time to only do a few hundred records per week. Have patience, please. Was Bunda resigned before running for LG? Ask the Senate President. Okay, it was mildly interesting when Larry Geller first raised the topic. I submitted a few comments on his post and, honestly, I thought it was a non-issue. It became slightly more interesting when a lawsuit was filed. And soon (if not already) it will be in the mainstream media, since it has already appeared in the Star-Advertiser’s blog twice. The question is, did Senator Bunda resign from the Senate before filing to run for Lieutenant Governor? As reported by Geller, Senator Bunda submitted a letter July 14th where he described his “intent” to resign. According to DePledge’s blog, Bunda has vacated his office, initiated his retirement, turned in his keys, etc. The lawsuit, however, argues that without an (unspecified) explicit act of resignation , Bunda is not resigned and, thus, he is ineligible to run for LG. Implicitly, then, the argument is that Bunda is still a member of the Senate. Allow me to gently point out that the Legislature is a co-equal branch of government. This matters greatly here. In the Caldwell fiasco, the Office of Elections was answering a question of whether Caldwell had properly withdrawn as a candidate for re-election to the House before filing as a candidate for election to the Honolulu City Council, the Office of Elections was not addressing a question regarding resignation from elected office. The Office of Elections has no authority to decide if a candidate is in fact resigned from office. If the candidate affirms that he or she is eligible to be a candidate, then the Office of Elections has no statutory means to dispute the affirmation. Likewise, the Judiciary is not (nor should it be) empowered to resolve what is essentially a question of Senate resignation policy, i.e. a “rule of [Senate] proceedings.” Not to put too fine a tip on it, but the Senate runs its own shop and the Judiciary does not have to like it. Therefore, the President of the Senate (not a judge, and not the Chief Elections Officer) should rule whether any Senate rule was violated, and/or if Bunda’s resignation was in effect on July 16. So far as I can tell, the Senate rules do not proscribe any official resignation procedure, leaving the Senate President with wide latitude to rule on the matter. Whatever is decided by the President, if the Senate then wished to challenge that ruling, regular parliamentary procedure would allow for a majority vote. That is it for the more banal of the records I received. Next up: the actual comments about legislation that passed the 2009 legislature which were received and sent by the Governor’s office! For lack of any better strategy, I reckon I’ll attack those in numerical order by Act; regular session measures first, then special session. I followed the same routine for this batch of privilege logs: to assist in your browsing, the document index has been updated to reflect the latest uploads. That spreadsheet is closing in on 3000(!) rows already, and I have not even begun with the bulk of the records. Wow. [substituting the asterisks with the four-digit document number you want, using leading zeros as needed]. For example, here is the link to view the first page of the newest batch of uploads. REMINDER: all of the contents of this site (to include the uploaded documents) are published under a Creative Commons license. Please, respect the terms of that license. Okay, that completes the indexing, scanning, and uploading of the privilege logs for bills from the 2009 regular session which became law with the Governor’s signature. What’s left are the privilege logs from the veto overrides, and the privilege logs from the vetoed measures not overridden. I’ll try to get those final privilege logs done this weekend. Then it will be on to the actual public comments! One interesting record popped out as I chugged my way through these documents. Take a look at the last entry on document 658. The sender information for that document is not disclosed, and the document description reads “executive summary and presentation material, market and economic impact analysis, two casinos on the island of Oahu (working draft, not for publication).” Although the sender is not disclosed, a government agency created that document. Because if the document came from a non-government source it would have (legally, anyway) been released among the non-privileged documents. Hmmmm…. I have followed up with a request for this document and/or for more information about it. There are probably additional interesting nuggets, but my eyes glaze over after a few hours. Once everything is indexed and uploaded I can take a much more thorough pass through the documents. To assist in your browsing, the document index has been updated to reflect the latest uploads. Anyway, I have added another column on the document index to differentiate between the comment solicitations previously uploaded, and the various privilege log records that I have added to the cache today. You’ll notice on the spreadsheet that many of the same people appear over and over, namely the Governor’s Policy Office staff, various Deputy Attorneys General, Linda Smith and, for some strange reason, Department of Budget and Finance Director, Georgina Kawamura. So far, Director Kawamura appears to have had her fingers in nearly every bill considered for approval or veto in 2009! Not sure what to make of that… It makes me wish I could see those records to see if Kawamura makes substantive comments every time, or only a cursory review and boilerplate commentary. Also, I should point out that the Governor’s Policy Office staff listed above are typically summarizing comments submitted by various executive branch entities. I considered showing those entities in the “sender” column of the spreadsheet, but took the easier way out. However, if you want to know those entities badly enough, then you can look at the PDF document(s) to see exactly who participated. For the most part those entities reflect the comment solicitation recipients. I reckon it will take me at least two more long sessions of cataloging and uploading to finish with the privilege logs. Then I will begin cataloging and uploading the records that are actual comments on the legislation from the public. Have patience. [substituting the asterisks with the four-digit document number you want, using leading zeros as needed]. For example, here is the link to view the first page of the privilege log. REMINDER: all of the contents of this site (to include the uploaded documents) are published under a Creative Commons license. Please, respect the terms of that license. Comments on anything you find notable within the privilege logs (or among the comment solicitations previously uploaded) are welcome. I never listen to KSSK, so I can only wonder if there has been any mention on the air of Senator Sam Slom’s opponent for District 8? Check it out, Slom’s opponent is a Democrat named … Larry Price. Heh. Oh, and by the way, that better-known “guy on the right” made a blunder in his latest MidWeek column where he notes that Representatives Ward, Marumoto, and Thielen are running unopposed—and then says he can’t remember the last time the Democrats let that happen in a major race. To refresh his memory, then, Representative Thielen ran unopposed in 2008 and 2006, too. At long last, I am able to provide a taste of what sort of records I had been fighting for over the last year. Publishing this takes me a lot more time than you might expect for just scanning documents, because I have decided to make an Excel spreadsheet to catalog the documents. For your reference, since not even the biggest wonk would recall by memory year-old bill numbers, the spreadsheet also has a tab that describes the legislation (mahalo to the Capitol website for the information in that tab). This batch of records consists of the forms used by the Governor’s Policy Office to keep track of who had been contacted to solicit comments on legislation pending the Governor’s approval or veto. The forms were filled out by hand, and sometimes the handwriting is illegible and/or does not scan well—but I believe I have done a fairly accurate job of transcribing the data into the spreadsheet. Anyone who finds an error is, of course, urged to point it out. For these documents the odd-numbered records show the fronts of the forms, the even-numbered records are the back sides. The government agencies contacted are recorded on the front, the non-government contacts on the back. Some legislation did not have a two-sided form, so I inserted a “filler” page to preserve my odd/even document numbering scheme. [substituting the asterisks with the four-digit document number you want, using leading zeros as needed]. For example, here is the link to view the first document. REMINDER: all of the contents of this site (to include the uploaded documents) are published under a Creative Commons license. Please, respect the terms of that license. So, what does this first batch show? Well, it suggests that the opinions of some people seem to matter much more to the Governor than those of others. Play around with the document index spreadsheet and you can sort the records however you like. One thing that struck me, especially with the campaign for Governor underway, is that as the 2009 legislation was being considered for approval or veto Lieutenant Governor Aiona was asked to comment only once — and that was to solicit his comments on the bill that included the budget for the LG office. However, there was no response to that solicitation, according to the records and privilege logs provided to me. Go figure. Seriously, it’s hard for Mr. Aiona to claim (based on 2009) that he was a key player in the policy arena. It’s possible that Aiona provided a lot of (unsolicited) commentary, but I have not seen any in the privilege logs (where it would appear if there were any). Those privilege logs will be scanned and uploaded next, by the way. Happy browsing. Leave a comment when you find something notable! Here’s the link again for the document index. a list which shows the Lingle/Aiona “adult supervision” model in action. Compare the broadly inclusive [sic!] list of people asked to submit comments to the list which might come from a highly factional administration such a Abercrombie or Hannemann. Heh. It’s pretty easy to defend Lingle by contrasting her with a completely hypothetical list. Nevertheless, Walden should ask himself, why did the Lingle administration fight so hard for so long to withhold these records, if the records truly show the administration in a positive light? Poinography by Doug White is licensed under a Creative Commons Attribution-Share Alike 3.0 United States License.